Attached are an excellent set of results from the Chairman’s Gala held at Stevenage on Saturday. Despite the adverse weather I am sure that all there enjoyed the event. The final result was in the balance until the last few events. Eventually Stevenage opened up an eleven point gap to win the gala. On the night many swimmers were competing in their first representative gala and most of the more ‘experienced’ swimmers swam off their number one stroke. Overall 42 PBs and 57 best relay splits were recorded. 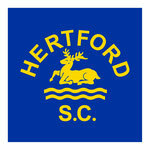 Hertford were placed 1st in 17 events, 2nd in18 events and 3rd in 16 events. Teddy to Charlie Hughes for an excellent 1st place in the 8-9 year old free and an excellent relay leg...all in his first gala. Thanks to all that helped out on poolside and behind the scenes. On the downside it is much too late to advise Rachel an hour before the event is due to commence that a swimmer is not available. It is impossible to call a replacement up at that stage and on the way to an event and difficult to cover the swims.